Adriana Belencaia is a speech-language pathologist in Rancho Cucamonga, CA. Practice Type: • School Practice Areas: • Speech Language Pathology Take the next step and contact Adriana Belencaia for a consultation in Rancho Cucamonga, CA or to get more information. Joelle Beach is a speech-language pathologist in Trabuco Canyon, CA. 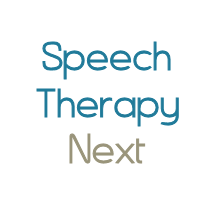 Practice Type: • Center Practice Areas: • Speech Language Pathology • Speech Therapy Take the next step and contact Joelle Beach for a consultation in Trabuco Canyon, CA or to get more information. TalkWays, A Speech-Language Pathology P.C. Aspire TLC offers speech therapy, special education tutoring, music programs, and more. We are a family owned company made up of speech therapists and tutors specializing in Autism, Learning Disorders, Speech Language Deficits and more. We have special training in Lindamood-Bell learning programs, DIR Floortime, and more. Aldouscon De Jesus is a speech-language pathologist in Rancho Belago, CA. Practice Type: • School Practice Areas: • Speech Language Pathology • Speech Therapy Take the next step and contact Aldouscon De Jesus for a consultation in Rancho Belago, CA or to get more information.